LAS VEGAS and RAMAT GAN, Israel—August 7, 2018—92 percent of organizations struggle to implement security into the entire DevOps process despite most saying they want to do so — a staggering capability gap exposed in the new, global data report from FreeForm Dynamics in collaboration with The Register called “Managing Software Exposure: Time to Fully Embed Security into Your Application Lifecycle.” Commissioned by Checkmarx, the study spotlights the biggest barriers to securing software today depending on where organizations sit on the DevOps maturity curve. 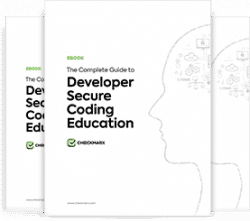 96 percent of respondents report it is “desirable” or “highly desirable” for developers to be properly trained on how to produce secure code. As developers take responsibility for the security of their software, more respondents believe it is more important to educate developers and empower them than it is to educate other stakeholders in the organization like ops specialists and security specialists. But 41 percent agree that defining clear ownership and responsibility in relation to software security remains a big challenge, and just 11 percent say they have adequately addressed the need for developer education. 57 percent of respondents strongly agree or agree with the statement that software security is now a boardroom issue. It’s a matter of business risk. In order to ensure better software security, developers and security teams need support from their executive teams, but 45 percent find it challenging to get senior management to approve funding for security training. 44 percent say executives don’t care about how quickly, frequently and safely developers deliver software, they just want them to do it. Although more than half of respondents do not have adequate code scanning solutions to flag potential security exposure early on, solutions are not the only thing needed to drive improvement. The majority say the way we fundamentally approach software security requires a rethink based on modern architectures and delivery approaches. The human factor poses both an opportunity and a challenge. Nearly 100 percent agree that developers, testers, security specialists and ops staff need to work together. Yet, 72 percent of respondents agree that different teams and disciplines within IT are still too often reluctant to trust each other. Checkmarx executives will be onsite at Black Hat 2018 Booth #1202 to discuss key findings from the report (full text is available at this link) and demo the company’s software exposure platform. Contact checkmarx@inkhouse.com to arrange an interview and/or check out their presentations at BSidesLV and DEF CON 2018 listed here. You can also read more about the Checkmarx perspective on today’s era of software exposure in this blog post. Insights presented in the “Managing Software Exposure: Time to Fully Embed Security into Your Application Lifecycle” Report are derived from an online study completed in the Summer of 2018, during which views were gathered from 183 respondents via an online survey. Participants were predominantly from North America and the UK, and drawn from a range of industry sectors and company sizes. The work was sponsored by Checkmarx, and conducted in collaboration with The Register news site. Freeform Dynamics is an IT industry analyst firm. Through our research and insights, we aim to help busy IT and business professionals get up to speed on the latest technology developments, and make better-informed investment decisions.For more information, and access to our library of free research, please visit www.freeformdynamics.com or follow us on Twitter @FreeformCentral. The Register (www.theregister.co.uk) started life as a daily news operation on the web in May 1998. On the first day, 300 readers visited; today over 10 million unique readers visited the site every month. The Register’s blend of breaking news, strong personalities, and its accessible online execution, has made it one of the most popular authorities on the IT industry. With an international team of journalists and columnists, The Register reports on the IT industry from the inside out – covering everything from enterprise software to chip developments.